The twist-filled thriller, formerly called Plume and the feature debut from writer-director Mike Gan, also stars Tilda Cobham-Hervey (Hotel Mumbai) and Suki Waterhouse (Assassination Nation). The film, from Film Mode Entertainment and Yale Production, is produced by Jordan Yale Levine, Jordan Beckerman, Sukee Chew, Russ Posternak, Ash Christian and Michael J. Rothstein. 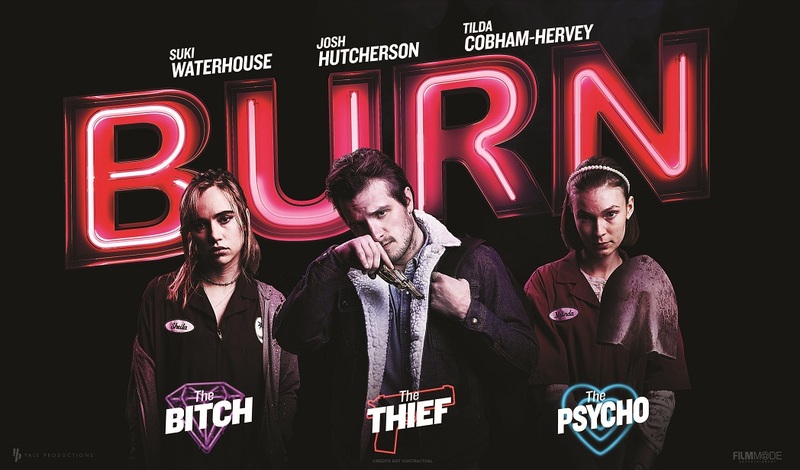 Filmed in the idyllic Hudson Valley, Burn follows lonely, unstable gas station attendant Melinda (Cobham-Hervey) who constantly feels overshadowed by her more outgoing co-worker Sheila (Waterhouse). When the gas station they work at is held at gunpoint by Billy (Hutcherson), a desperate man in need of quick cash, the heist goes terribly wrong and Melinda comes up with a way to make a connection with the robber, regardless of who gets hurt. Film Mode Entertainment is handling international sales in Cannes. CAA is repping for North American distribution.